Fifteen years ago, James Wan launched the most successful horror franchise of all time with the “Saw” series of eight entries and more than a billion dollars in box office receipts. While he has gone on to success in non-genre offerings like “Furious 7”and the upcoming “Aquaman”, he always comes home to the haunt. 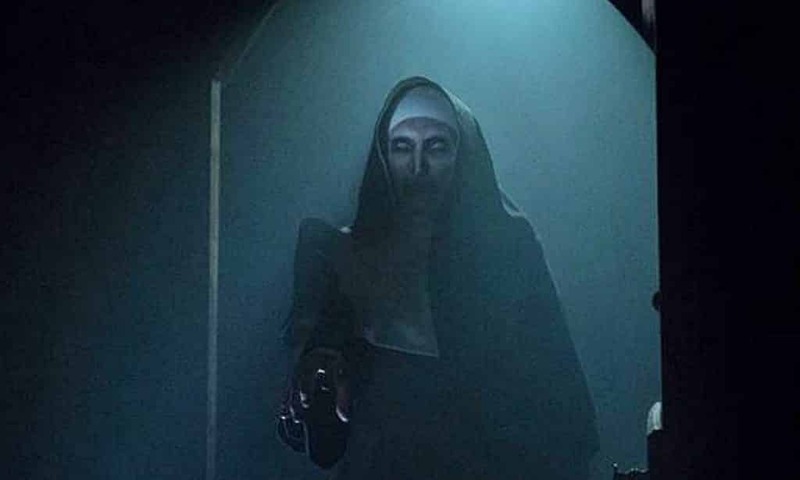 In the last half decade, Wan’s raised spirits and profits with “The Conjuring” which has birthed a unique universe of five films with a time-tested formula of small budgets with big returns and several recurring characters including the titular twisted sister Valak of “The Nun” introduced in “The Conjuring 2” whose origins are explored in this stand-alone just in time to start the Halloween season early. 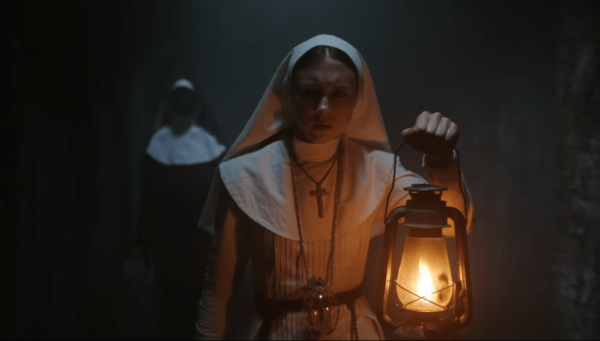 For those familiar with the previous four films (“The Conjuring,” “Annabelle,” “The Conjuring 2,” “Annabelle: Creation,”) there is nothing new to be found with “The Nun” but it does have many of the hallmarks that make the series standout from similar studio dreck. Casting is always superb with an excellent choice of Taissa Farmiga (sister of “The Conjuring” series very own Lorraine Warren, Vera Farmiga) who is best remembered for her role in the landmark first season of “American Horror Story” and plays Sister Irene with a genuine and unyielding grace. It contrasts well and classically with Demian Bichir as Father Burke who, in his best impression of both Fathers Merrin and Karras, is a man whose faith has been deeply shaken. They are rounded out and complimented perfectly by Frenchie, played by Jonas Bloquet, overflowing with charm and comic relief but undoubtedly seeking his purpose in the world too. 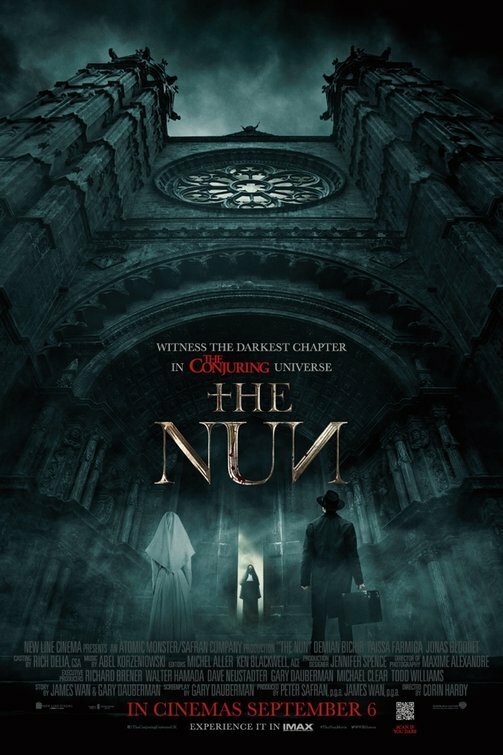 The gothic setting of rural Romania and its brooding, almost alien atmosphere adds a lot to “The Nun” but if they had focused more on classic suspense and practical effects, it could have harkened back to the glory days of Universal, Hammer and Amicus. Shades appear (as Wan is wont to do) but it comes up short as mentioned before because they slide back into the well-worn formula too fast. The score by Abel Korzeniowski keeps it wonderfully spooky, especially when used in tandem with the gorgeous set design and cinematography but gets a bit too glossy for its own good. Without disclosing too much, the events of previous films do come full circle here but it doesn’t feel as fluid or fulfilling as it could have been. 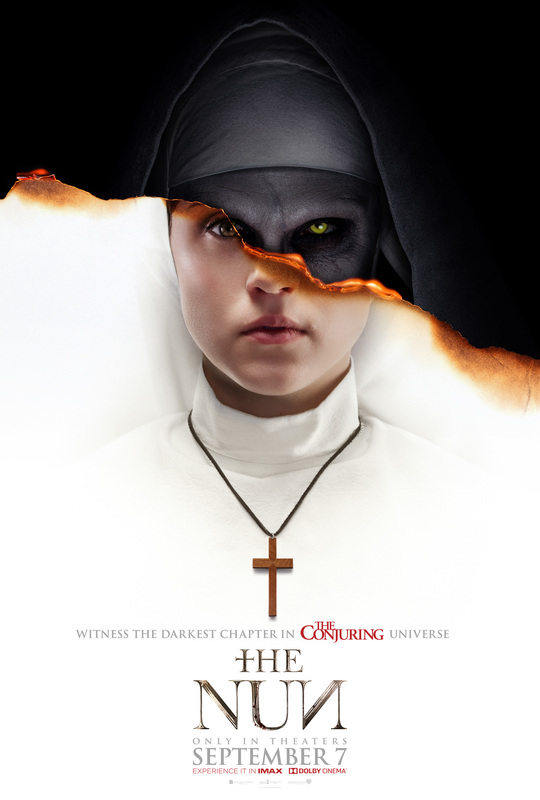 The narrative is far from sturdy but the atmosphere and lead performances make it a competent and fun film but probably the least effective of all those in the Conjuring universe to date. 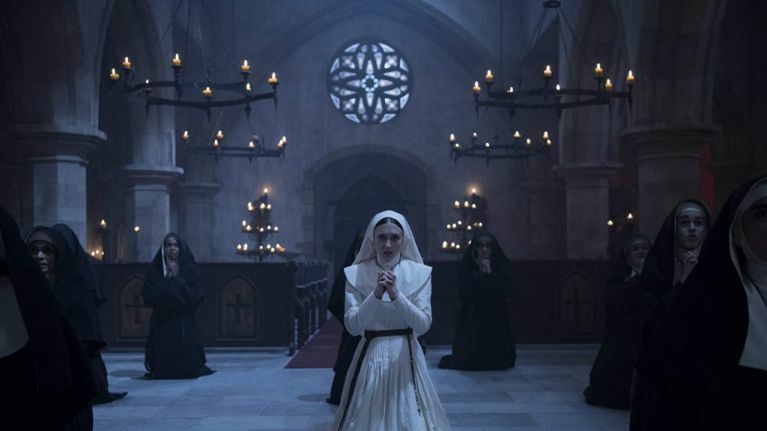 Still, “The Nun” is in the spirit of the season and sure to delight longtime fans and recent novitiates….